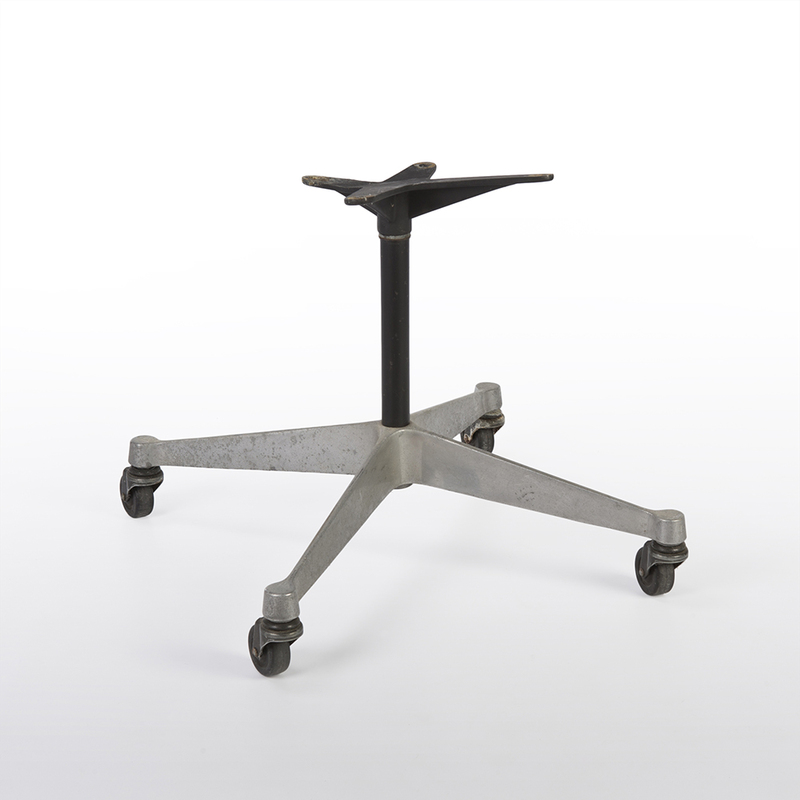 A widely used base, this is an original, vintage, castor Contract base for the Eames and Side Shell series. This makes the perfect PSCC or PACC chair which is excellent for any home office or office environment. Originally designed to be used in the office space, the base was also produced with glides to mimic the Aluminum Series of chairs also designed by the Eames’s. The massive advantage the Contract base offers is that the top can be switched easily meaning you can swap between an arm or side shell. The bases consist of their original castors which all still roll ok and spin too.